WordPress is a publishing platform that makes it easy for anyone to publish online, and proudly powers millions of websites. It comes in two flavors: the fully hosted WordPress.com, and the self-hosted version available at WordPress.org. Premium hosting, security, and backups are included. You can even upgrade to a custom domain, like YourGroovyDomain.com. You’ll need to find a host, and perform backups and maintenance yourself. We offer VaultPress for security and backups. Choose from hundreds of beautiful themes. Make it your own with Custom Design. Install custom themes. Build your own with PHP and CSS. Integrate your site with Facebook, Twitter, Tumblr, and other social networks. Install a plugin, like Jetpack, to enable sharing functionality on your site. Popular features like sharing, stats, comments, and polls are included. There’s no need to install plugins. Install plugins to extend your site’s functionality. 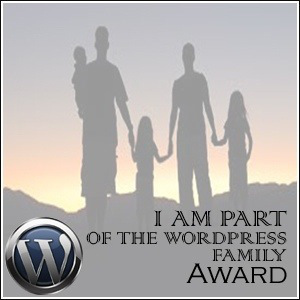 Personal support and the WordPress.com forums are always available. Visit the WordPress.org support forums for assistance. You must register for an account on WordPress.com and abide by our Terms of Service. No registration with WordPress.org is required. WordPress is a community-driven project that’s developed by and for people like you. Many thousands of people from around the world contribute to the project, and many millions of websites are powered by it. From large company websites to personal blogs, and everything in between, everyone can publish with WordPress. There are two ways that you can get started with WordPress. You can host a WordPress installation on your own server, or you can host your site here at WordPress.com and let us handle the technical bits. Hosting your own WordPress site can be fun and rewarding, but it also requires some technical knowledge and places more responsibility on you, the publisher. You can download the WordPress software for free at http://wordpress.org, but it must be installed on a web server before it will work. You will need to research and install your own themes and plugins. Many hosting providers offer a one-click installation of WordPress — here are a few examples. If you’re looking for a web development agency that specializes in building beautiful WordPress sites, check out the CodePoet Directory. WordPress.com is a great choice for bloggers, photographers, artists, plumbers, doctors, restaurateurs — almost anyone. However, techies that prefer to maintain full control over their code, should consider hosting their own WordPress installation. We provide a large number of themes and built-in plugin functionality so you won’t need to upload your own. Not sure which way to go? Find out more about WordPress.com and WordPress.org to see which is best-suited for you. Why use a Child Theme in WordPress ? Firstly, in your theme’s functions.php, you need to write a function to register the names of your menus. (This is how they will appear in the Appearance -> Menus admin screen.) As an example, this menu would appear in the “Theme Locations” box as “Header Menu”. So you’d put the above into your Page template, and not only would the menu show up wherever you put it, it’d be styled as my_extra_menu_class so that you can work with that in CSS. save the file to apply changes. Now you can install plugin or themes in wordpress backend. WordPress allow us to create custom hooks. You can write your custom hooks in WordPress as par requirement. In following example you will learn how to write custom hooks in WordPress. Two function are useful to create a new hook , first is add_action() and second is do_action(). Best wishes to you for a Holi filled with sweet moments and memories to cherish for long. Happy Holi!! Why use Google Chrome ? Why use Chrome ?, Why use Google Chrome ? Chrome is designed to be fast in every possible way. It’s quick to start up from your desktop, loads web pages in a snap, and runs complex web applications lightning fast. Learn more about Chrome and speed. Chrome’s browser window is streamlined, clean and simple, and has features that are designed for efficiency and ease of use. For example, you can search and navigate from the same box and arrange tabs however you wish—quickly and easily. Chrome is designed to keep you safer and more secure on the web with built-in malware and phishing protection, autoupdates to make sure you have all the latest security fixes, and more. Learn more about Chrome’s security features. Signing in to Chrome brings your bookmarks, history, and other settings to all your computers. Just go to the Wrench menu and select “Sign in to Chrome.” Learn more about signing in to Chrome. Chrome has many useful features built in, including automatic full-page translation and access to thousands of apps, extensions, and themes from the Chrome Web Store. Learn more about Chrome’s most-loved features. Is happiness dependent on wealth ? Every one of us is searching for this most important thing, happiness. But don’t we sometimes confuse it with pleasure? What is the secret of well-being? Is it partly or entirely dependent on how much amount we can spend on stuffs? The feeling of well-being is not a scarce thing. But I wonder if all forms of satisfaction are genuine and permanent. Can you buy happiness? What is the true nature of human longing for happiness. In this discussion we will reveal much about happiness just by digging deeper inside ourselves. How much, do you think, your happiness depends on your wealth? If you think there may be some other way to find happiness in life please share with us your secret. When you think of a friend, what are some of the things you think of? A person you can trust? A person you get along with really well? Someone who has the same sense of humor as you do? A friend is any person who fits these descriptions, as well as many others. It’s important to have friends because it’s important to have a “support system” of people you can depend on. When we think of “friends” we often think of people we aren’t related to, like a kid you know from school or from the house next door. But friends can definitely also include your relatives like siblings, cousins, or even parents! – The neat thing about friends is that they come in lots of shapes and sizes, and there’s no limit on how many you can have! Some people have a really easy time making friends, while others take longer getting to know people. As you grow up, you might find that you like having lots and lots of different friends, or that you prefer having just one or two friends that you’re really, really close to! It increases endurance, strength and flexibility. Mental endurance and physical stamina are tested through holding postures for extended breaths. Arm and shoulder strength is multiplied as you use your own body weight for resistance. Lats and other back muscles begin to support the spine better than before. Abdominals and obliques are refined and sharpened through building core muscles. Poor and average posture begins to correct itself over time. Hip flexors are stretched and rebuilt. Glutes, quads, hamstrings, and calves are tightened and lengthened where they need to be. No matter what ails your aching body, or if you just want to take your fitness to a higher level, power yoga’s ability to build muscle has an undeniably effect on the total body.